Waste is the third largest source of emissions contributing to climate change in Toronto. In an effort to remedy this, the city is implementing the Long Term Waste Management Strategy, which aims to divert 70 per cent of Toronto’s waste from landfills by 2026. This moves the city towards a circular economy and a zero waste future. 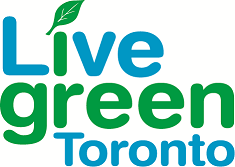 Apartment and condo buildings are a very important part of the Waste Strategy since over 50 per cent of Toronto’s population live in them. However, only 28 per cent of waste generated in condos is diverted compared to 66 per cent of waste in single family homes. So what can you do to help divert and reduce waste? Small changes in your habits help, but you can also help motivate people to do the same at work, school and in your community. Here are six ways to make a difference in your apartment or condo building, presented in partnership with Global News Toronto. We're accepting applications for our Waste Reduction Community Grants until March 1, 2019. The waste grants are just one way the City of Toronto is helping to #TransformTO & leading the fight against climate change. Thanks for this! Would you guys be able to do a post on some successful practices that buildings have already implemented in regards to a waste diversion plan for electronic and hazardous waste?